Located in Columbia, Maryland, Cedar Place Apartments is a charming community that provides a comfortable living lifestyle. We have spent over $2.3 million dollars on renovations to add a New Luxury Pool Area, Clubhouse, BBQ Area, Dog Park, and interactive Playground to make Cedar Place the top luxury apartment complex in Columbia, MD. 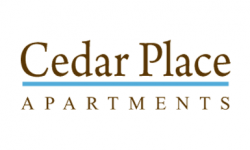 Cedar Place features spacious and newly renovated one, two and three bedroom floor plans in a peaceful setting, complete with all the modern amenities you have come to expect. With its location right in the heart of Columbia, Cedar Place Apartments is just minutes from many local restaurants and shopping and easily accessible to the local pool, tennis and fitness areas. Call or visit us today! We charge a $300 non-refundable deposit for each pet. Also, we charge $50 as pet rent each month.